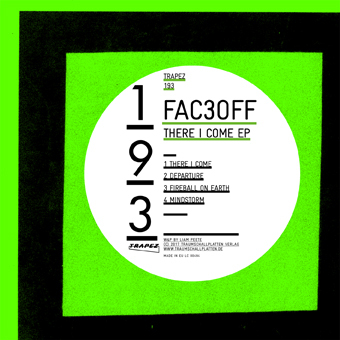 It kicks off with the mighty and powerful but sensual “There I Come” and is energized by the old-school fueled “Departure“. You know the sound when it kicks in! “Fireball On Earth” creates that big nice FX bubble in which the track develops with spacious sounds that give enormous depth to the track. That is a great experience you wont want to miss. The EP closes with “Mindstorm” a wild and lively monster of a track that pays tribute to a radical FX treatment blurring the edges of a chord sound to no recognition.